Grieving expert Sally Downham Miller gives teachers and parents tools to help students mourn and recover from a death in their school. 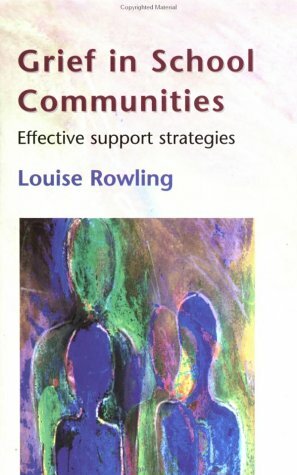 Led by her work in schools over the past fifteen years helping teachers, administrators, students and parents cope with the deaths of students and some faculty members, Sally Downham Miller has written this guide for parents and teachers to help students deal with the loss of someone close to them. School is often the locus of students' social lives; a death in this environment can have serious emotional consequences on school-age kids. This book will give parents and teachers a guide to help their children and students. For the most part, schools have learned how to "do triage," by calling in counselors and providing support through the funeral. While coping with the death, the immediate trauma and the funeral are important; this only allows a scab to form over the wound. The deep healing does not take place in three days or the first few weeks, and finding ways to help people grieve over time is substantially different. The people who work in schools see the effects of grief played out over time. They are the ones who watch helplessly the decline in student learning, health, and involvement. Teachers often are able to pinpoint the exact time when a student begins to decline or to withdraw or to "medicate" themselves against their pain. But, the work of helping students grieve in schools is ongoing: a week later, four months later, years later. It calls on the school to expand its role as a school family, providing a safe place for this work to take place. In this space students can learn to understand what is happening to them instead of only acting out feelings or repressing them, becoming depressed or hurting themselves. Mourning and Dancing for Schools is the creation of Sally Downham Miller, an educator and grief counselor.In her work, Miller deals with parents and children after the crisis teams have left.She values crisis counselors and admits the work they do is crucial, but her main focus is how the grief process can take its toll weeks, month and even years after a tragic event.Miller is the type of grief counselor that works in the nation's Columbines when the immediate threat and shock have worn off, precisely when the most painful mourning can occur. Among the abundance of material available about death and dying, there is a very limited amount that deals directly with the needs of a school community when one of its members dies. In addition, a great need exists for schools to develop an organized plan for responding to the death of a student or staff member. A Student Dies, A School Mourns aims to fill this gap. 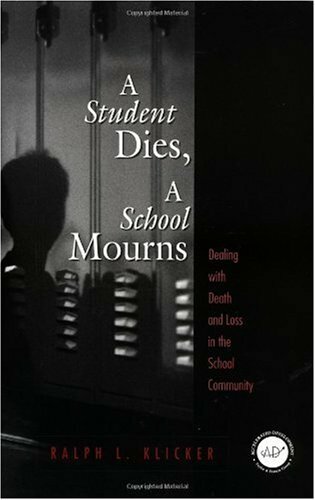 The book not only examines and explains the grief reactions of students and school staff members and the factors that affect these reactions, it also provides a systematic guide for developing a death-related crisis response plan. 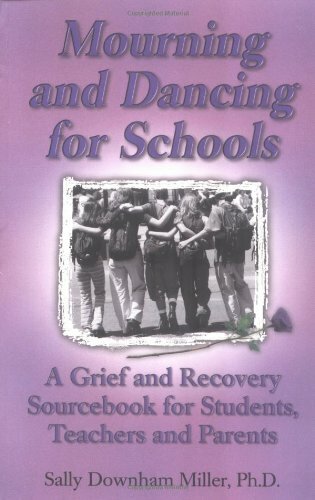 This timely book is designed to be a systematic guide that incorporates a thorough analysis of grief in school, including normal and abnormal grief reactions, factors affecting these grief responses, and the differences in death beliefs and responses of students at different ages and developmental stages. It also acts as a map or step-by-step guide for establishing a death-related response plan. The liberal use of flow charts, time tables, and action plans, turns the often daunting task of creating a response plan into a relatively painless activity, stating what must be done, who should do it, and when. Extensive coverage is given to two issues in particular: youth suicide and violence/murder in the school. This is a tough subject however, as a school counselor we must always be prepared for something like this.I hope I never have to utilize this information but I am thankful that I have it if needed! Preparing for what you hope never happens. I'm a middle school guidance counselor.I give this book out far too often to students who have a parent or other loved one die.The kids say that it is helpful and easy to read.The pages aren't long and the type is big so they don't feel overwhelmed with too much information.I'd highly recommend this as I've heard from teenagers how it helped them. This is the best thing available for young people dealing with loss from death.Small "bytes" for each day, language they can identify with.I keep a supply to give when there is need.